Some days you wish for things to go your way. Sometimes you put faith in prayers and wait for answers to appear. Here in Ring Wars Carolina, you have to claw and scratch for a chance to compete for the brass ring. This is such a time. 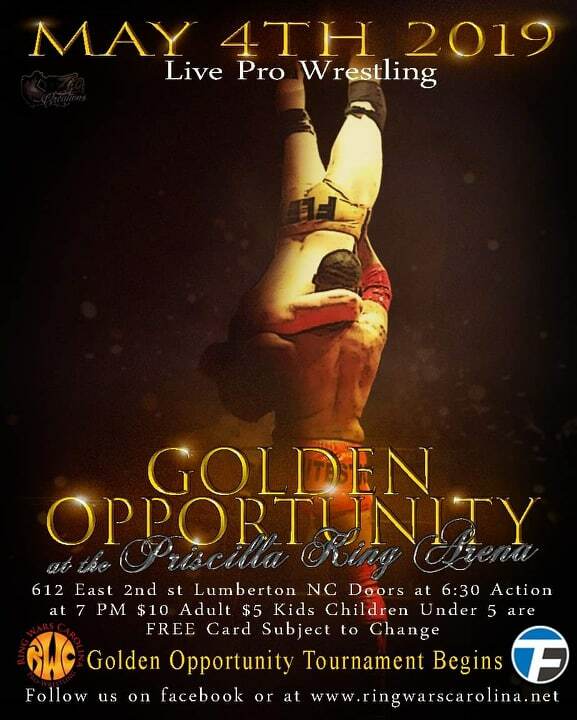 May 4th in Lumberton NC, 8 warriors will start the journey to compete in the biggest match of their lives. 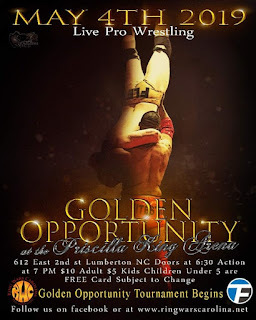 8 of the best will do battle in The Priscilla King Arena, 612 2nd street in Lumberton NC, just to have The....Golden Opportunity! 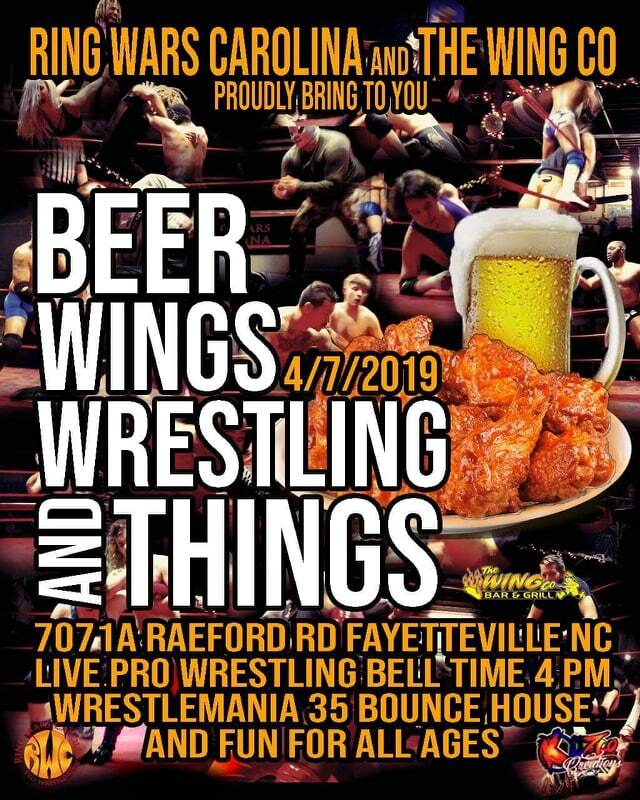 What better way to start your Wrestlemania 35 day but with some family and friends with Live Pro-wrestling, Chicken Wings and Adult beverages for the adults and Bounce houses for the kids!We got it all covered with help from our friends @ The Wing Company at 7071 A Raeford road! A party aint a wrestle mania party without RWC! & The Wing company! The title says it all! This is the match we all have been waiting for! The Challenger, The Mean, Hungry and diabolical Caribbean Tiger against The humble and crowd pleasing RWC Jr. Heavyweight Champion Gem Stone in a Lumberjack match. No where to run or hide and there must be a solid winner! Kasey Fox will be making her RWC debut on April 6th, at "Now or Never" when she faces off with Lynzee Pike. Both ladies have been making a name for themselves everywhere lately and there paths have yet to cross until, now! Will Lynzee continue writing her story of success or will Kasey come and pick up a win in her debut? Find out April 6th at the Priscilla King Arena in Lumberton NC Belltime is 7pm! 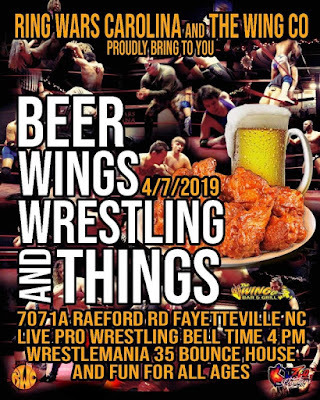 What better way to start your Wrestlemania 35 day but with some family and friends with Live Pro-wrestling, Chicken Wings and Adult beverages for the adults and Bounce houses for the kids!We got it all covered with help from our friends @ The Wing Company at 7071 A Raeford road! A party aint a wrestle mania party without RWC & The Wing company! 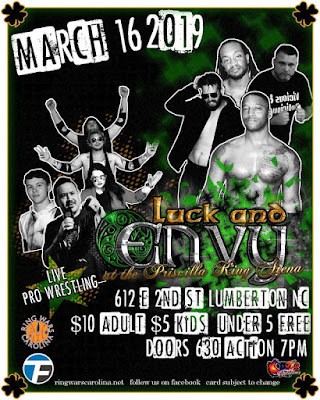 RWC superstars return to Lumberton NC March 16, 2019 with "Luck and Envy" pro-wrestling. 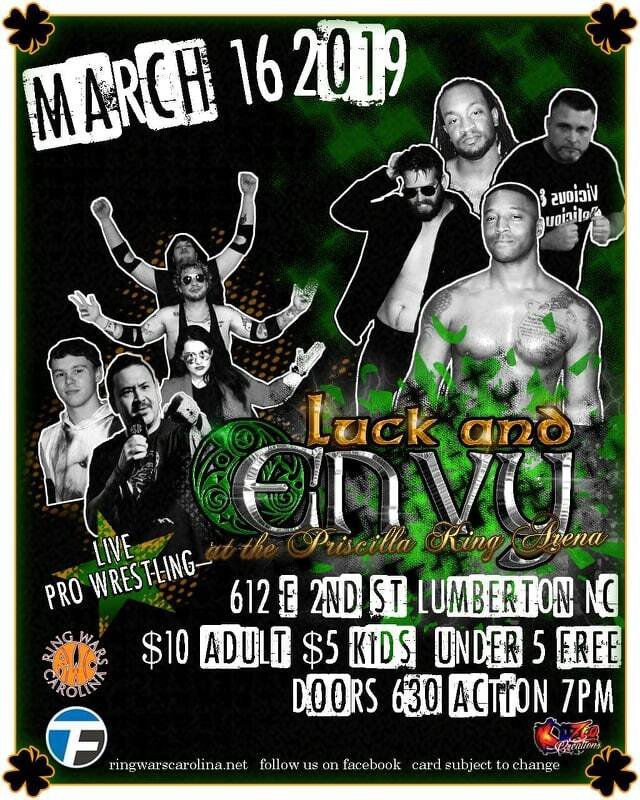 This event will play host to some pro wrestlers who use either good LUCK or extreme ENVY to gain a spot on the RWC roster. 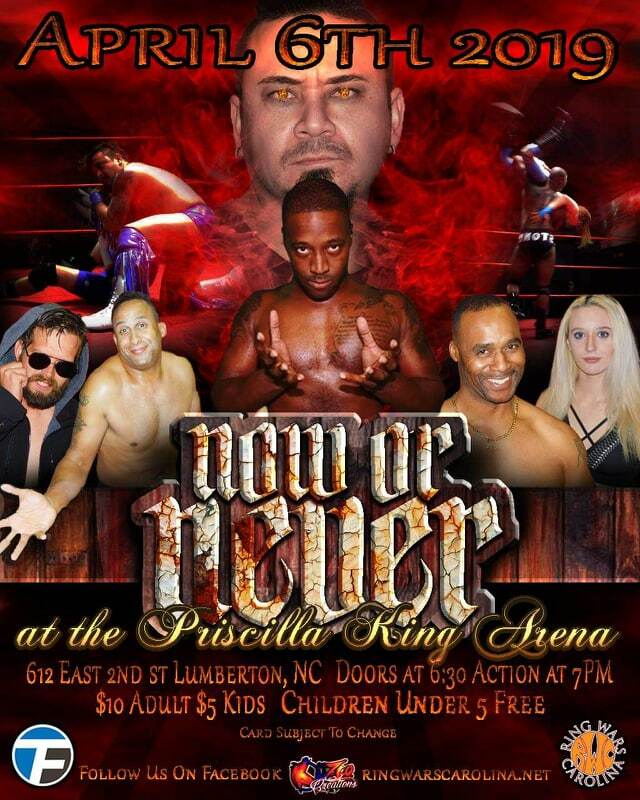 This is a proverbial open mic night for wrestlers to compete in The Priscilla King Arena. Who will appear? Who will they challenge? You have to be there to find out!